AIRCOS is a powder expert who brings to the market impacting textures, intense colors with unmatchable pay-off, out of large pallet of technologies. Creative and constantly in touch with the market, AIRCOS presents « Made In France » formulas for standard and customized makeup products. In addition, AIRCOS has a solid experience in plastic injection, printings and proposes turnkey solutions dedicated to beauty industry. Our engineering team overcomes technical challenges to offer a cost-mastered stock or custom designed solutions within the highest quality standards. AIRCOS offers the most innovative products, secured developments, mastered processes within the fastest time-to-market. Meet us booth B49 and see our newest products and innovations! We make the packaging and solutions you use every day – from tubes, lipsticks, mascaras and pumps to applicators, packs with formula, travel kits and much more. We serve prestigious and dynamic brands, whether they are legacy or indie, big or small, international or local. We are a large/small company with 1.5 billion dollars in revenues, big-group assets and an entrepreneurial mindset. We support our customers wherever they are in the world, thanks to our 15,000 people and 39-site footprint. Our motto is “Made here. Made responsibly.” Because we care about the environment and our communities. We are Albéa, the global leader in beauty packaging. Allta is a Factory Direct Color Cosmetic Turn Key Contract manufacturer, producing innovative and exciting fresh new product for the Cosmetic industry. Allta owns their own 7 factories in China so we can offer you factory direct pricing on Complete Turn key Programs. With our Corporate office in NYC, and our China based factories, offer our customers a USA / European quality level at advantageous pricing, High Volume capacity, with an emphasis on speed to market, attention to detail and personal 24/7 customer service. 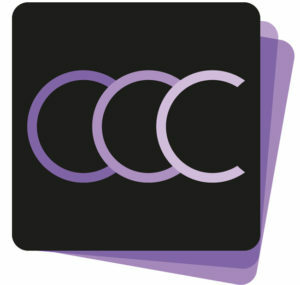 We are a One stop shop for Turn Key Color Cosmetic Company offering you services for each steps. Come ask us about ” The Allta Factor ” and how we can help grow your business. 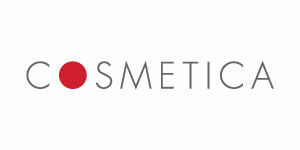 ANCOROTTI COSMETICS GROUP operates in R&D and manufacture of make-up. The expertise and the engagement to anticipate the forthcoming market desires has made ANCOROTTI COSMETICS GROUP a recognized leader in the formulation of eye, lip and face make-up among the TOP 5 international contract manufacturers. The turnover of ANCOROTTI COSMETICS GROUP increases from year to year and there is no other secret in this expansion than the development of quality products well suited to customer demands and industrial facility that we are committed to maintain at its highest level. APC Packaging has been actively serving the beauty industry for over 10 years, by providing high-quality packaging solutions for global beauty and skincare brands. We employ a diverse and global workforce, operate our own manufacturing facility in China – Zhejiang Jinsheng New Materials Co., Ltd. – and have a warehouse and dedicated sales, engineering, and logistics team here in the USA. We offer innovative product engineering, competitive pricing, rapid production turnaround, and exceptional customer service. We pride ourselves on partnering with our customers as we continue Perfecting the Art of Packaging. Arcade Beauty is the global leader of smart sampling solutions for the beauty industry. As the leader in our field, we are committed to continuous innovation while providing expert quality, value and service to deliver influential moments to our clients. Our combination of unique industry knowledge, global manufacturing capabilities and patented technologies allow us to deliver solutions that engage and drive results. We are Artcosmetics, an Italian B2B contract manufacturer specialized in color cosmetics. We’re one of the leading firms in the famous Italian Cosmetic Valley, the golden triangle between Milan, Bergamo and Crema. Our role on the global market is to deliver innovation, supporting our creativity with sound technical and scientific expertise. We produce lipsticks since 1990, still an area of excellence today. 29 years of creating, growing and innovating. With the sparkle and glamor of Italian culture and style, our story is your guarantee of quality and competency. Today, our output covers all market segments: prestige, masstige, mass, specialty stores, direct marketing and pharmaceutical. We are a boutique design and manufacturing company that creates, develops and produces exemplary beauty solutions for the cosmetics industry. Our multi disciplinary team of highly experienced designers, engineers and beauty experts have a collective track record of delivering successful and award-winning design that stretches back over 25 years. We strive to offer our clients the best of what the industry has to offer and pride ourselves on our speed to market production, future targeted creativity, eco-responsibility and most importantly our exceptional customer focus. Axilone is a leading player in plastic injection and aluminum stamping for the markets of makeup, fragrance and skincare, based on a global presence in Europe, the US and China. For over 50 years, Axilone has developed a full value chain in its factories, which extends from the design and production of molds and components to the completion and assembly of lipsticks, closure solutions or jars. In partnership with the most prestigious beauty Brands, Axilone has become a key player in its sector and World leader in the field of Premium lipsticks. B.KOLORMAKEUP is a dynamic contract manufacturer of make-up, skin-care products and medical devices. The company manufactures finished product, takes care of packaging and guarantees tailor-made full service, besides offering BULK supply. Quality matched only by our creativity, originality and close attention to markets and consumer trends. Since 2000 we have been creating the most Innovative Secondary Packaging in the business. Visit us at MULA, MUNY and Luxe Pack or make a special appointment with us to visit our new NYC Showroom. Packaging is a first impression of a Brand’s promise to the Consumer. Make the right impact with Balance Inc. Cosmetic brushes, brush sets and bags, we can do it all turn-key. From our Korea office, we can design and develop specific to your needs. We do everything custom for you based on our development or we can manufacture to your specifications. From our manufacturing facilities in Tianjin, we can provide you with service unmatched and superior value for your brand. Baoyu Cosmetics Packaging Co., Ltd. is specialized in manufacturing plastic packaging components for make-up cosmetics. We have complete in-house product and mold design, mold fabrication, injection, metallization, UV or spray coating, silk screen or pad printing,Hot-stamping and Heat transfer decoration as well as assembling. The main product: Blush Compacts,Eye Shadow,Lip-Gloss Pots,Loose Powder Jars,Loose Powder Pots,Palettes,Press Powder Compacts. Major Markets: North America & Europe. Factory Building Area: 7,000 square meters. Set Up Time of the Factory: June, 2004. Baralan, a full packaging service, is a leader in the field of Cosmetic Packaging for over 35 years. With an experienced staff of knowledgeable people, we can provide unmatched service, quality and selection for all of your packaging needs. With showrooms and warehouses in New York, Los Angeles and a showroom in Fort Lauderdale, we are conveniently located across the country. Founded in 1997, headquartered in Shanghai, Beukay is a global cosmetics group with 3 manufacturing sites and developed expertise in multiple cosmetic categories, 4 R&D centers to capture innovation worldwide, multiple joint ventures and 6 global offices to serve our customers seamlessly. Beukay Group’s market-forward innovation, quality excellence, ability to integrate, and robust supply chain elevated Beukay to be one of the most innovative and agile cosmetic manufacturers. We are leaders in the development of innovative cosmetics and personal care for brands and retailers across the globe. With specialized services for the development of cosmetics, personal care, hair care, fragrance, tools and accessories. Bonne provides inspired concepts tailored to each client’s needs. Our services include: Branding & Creative Development, Concept Development & Product Innovation, R&D & Color Forecasting, Customized Component & Packaging Development, Manufacturing, Filling & Assembly, Import & Export Consulting & Trade Assistance. We serve clients big and small alike, developing products for every channel including prestige, e-commerce, mass retail, and direct to consumer. 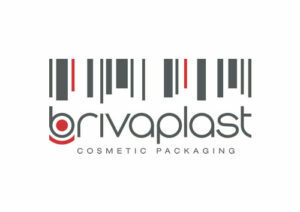 Brivaplast Group is an international manufacturer of cosmetic packaging, supplying the world’s leading beauty companies. Highly focused on application solutions, Brivaplast designs and develops a wide assortment of applicators for mascara, lip-gloss, liquid lipstick, eyebrow and eyeliner. The company produces an extended range of primary packaging: standard and customized mascara and lip gloss items. An ongoing investment policy, in R&D and technologies, is key to sustaining Brivaplast own innovation programmes and supporting their customers’ specific developments. #21 years, 21 years of history to produce make-up products. Chiang Pao Industrial Co., Ltd. was established in 1991 with over 25 years history. We specialize in manufacturing cosmetic packaging, color cosmetics formula and filling. We offer a full range of services such as mold design, manufacturing, filling and assembly. Offer the rich and various products category for color cosmetics. For example, lipstick, lip gloss, eyeliner, eye shadow, contour, brow, pencil, liquid foundation…etc. We are also certificated with ISO 9001, ISO 22716 and ISO14001. It is our vision to grow with our customer and offer the best private label service for color cosmetic. We are explorers and interpreters of tendencies. We are unstoppable creativity where craftsmanship meets industrial technology. We always look ahead, to find the newest idea every time. We are never satisfied with the present. Transforming ideas into highly successful products: this is our job. ColorVera is an altogether original global cosmetics contract manufacturing company. Built from the ground up with a singular purpose: Excellence in Execution. We’re a select team of successful professionals with entrepreneurial verve. We work with emerging and mid-size brands and brands with indie spirit. Our driving force is the Happy Ending. Speed to market is what the consumer demands. Great products. On spec, on budget, on time. Delivered. Whether you need high quality stock items, or custom design from scratch, Compax specializes in an array of capabilities, including design, engineering, decoration, and manufacturing. We’re committed to doing whatever it takes to transform your vision into reality. Number-one on the European promotional packaging market, Cosfibel Premium designs and develops high-end multi-material promotional coffrets, packaging, accessories, ornaments and luxury luggage items for international beauty and wines and spirits manufacturers. Cosfibel’s Creative Committee is constantly working to design distinctive product collections and bespoke items. Its high added-value coffrets respond to trends and customer demand for eco-design, the use of multiple materials, differentiation, customization and collector editions. Cosfibel Premium is able to cater to such demands thanks to its constant focus on innovation, which is an essential part of its DNA. Cosmei is a young and dynamic company focused on proposing and developing a wide range of make-up packaging ready to be customized with creativity, dedication and passion. Our range satisfies the different needs of the customers extending from an essential and basic line to the latest innovations. Each packaging project is a new challenge for us. It’s an invitation to think out of the ordinary, it’s a creative boost to keep on innovating and exploring new cosmetic packaging. We search for new stimuli, directions and solutions inspired by dedication and passion. We think “out of the pack” with a natural but realistic attitude. Cosmetic Group USA is a Contract Manufacturer of Color Cosmetics, Skin Care, and Personal Care for national and international brands. Our clientele includes prestige brands and industry leaders who distribute through major retail, direct and online channels. We set the course for color trends, new product development, the latest in new raw materials and new components ideas as part of our partnership with our clients. Cosmetic Group USA promises… “an exceptional experience, outstanding products, delivered on time”. The Leading Turnkey Manufacturer of Nail Polish in the U.S.A. Cosmetic Industries Inc. is the leading turnkey, vertically integrated private label manufacturer of high quality nail polish, nail treatments and lip gloss products in the USA. Our stock color library has over 3,000 color, with new colors added daily. All of our formulas are 7-free, vegan friendly, and cruelty free. Cosmetica is a leading beauty innovator and manufacturer partnering with globally renowned beauty brands. We aim to create top-selling products found within all beauty categories, from Masstige to Luxury. With offices in both Toronto, Canada and Los Angeles we offer brands a full 360 experience with product development, R&D formulation, packaging development, regulatory, QA, manufacturing and distribution logistics – we provide best-in-class execution. Our mission is simple: create visionary products that lead the industry, offer the best execution and client service and provide the best speed-to-market. The Cosmety Story Cosmety was founded in in 1982 and since day one has been offering innovative packaging solutions to companies who in turn present them to consumers as genuinely useful concepts. Our primary goal is to ensure cosmetic and personal care product users enjoy a completely positive user experience. Since 1982, Cosmogen monitor the market, trends and utilisation habits to develop the packaging, brushes, applicators and gestures that will accompany the performance of tomorrows cosmetics. An extensive sales structure in Europe, North America, LatAm and in Asia to support your business both locally and globally. Cosmogen develops new concepts and innovations in house with the marketing and technical teams. Cosmogen aims to enhance effectiveness of your cosmetic formulas. Cosmopak delivers unparalleled, one stop turnkey solutions for the cosmetic and skincare industries. We offer a full range of comprehensive services including design, product development, formulation, testing and filling. Our deep industry knowledge and commitment to innovation, whether that constitutes a completely unique design, small update or a dispensing enhancement, offers a brand the opportunity to stand out from the pack. At Cosmopak we are committed to providing you with the best in the business. Our world class products can been seen in beauty retailers globally. Crystal Claire Cosmetics is a custom formulator of colour cosmetics. We set ourselves apart as a true turnkey supplier that provides innovative formulas, packaging and processes to our clients. We live and breathe cosmetics, constantly challenging what we know now. Our deep passion drives us to explore innovation breakthroughs with our clients. We invite local and global cosmetics companies to explore our expertise in the world of beauty! Collaboration. Service. Reliability – CSR Cosmetic Solutions, a Kolmar Korea Company, is a world class cosmetics manufacturer offering customized innovation, end-to-end service and high-quality manufacturing for over 65 Years. We are uniquely positioned to help your brand succeed with access to our global innovation team and manufacturing capabilities in several major metropolitan areas including Seoul, Toronto, Beijing. Partner with us to bring your ideas to life. D.LAB is a second generation, family owned contract manufacturer founded in 2001 that specializes in brand new and unique technologies and innovation in R&D for top-tier and leading brands in the color cosmetics & personal industries. From it’s Teterboro, NJ headquarters Plant and Saddle Brook plant, D.LAB offers unique processing, manufacturing & filling methods to develop “point of difference” products for both domestic & international clients. DING YIH GLASS INDUSTRIAL CO.,LTD. was founded in 1982, we concentrate on developing high quality glasses and plastic containers & aluminum products from design to manufacture. After many years’ efforts, we have cumulated rich experience on medical health care, skincare and color cosmetics containers field, we always believe that having the advanced production technology and innovation ability is the most significant thing for us to grow fast. We controlled whole processes from R&D design, mold-making, plastic injection, coating, silkscreen printing, hot stamping, label transfer printing, pressing, polishing, anodization and vacuum metalizing to meet all the production needs in house. Suzhou Doria Plastic Technology Co., Ltd., was founded in 2012, it is affiliated to Doria Packaging Group (DPG) Ltd. Currently, the company covers an area of 10,000 square meters, producing cosmetics and skincare packaging and containers. Main Products: Standard and customized compacts, Palette, Pencil, Lipgloss, Fragrant and Lipstick. Our Strength: Extensive and Solid Professional industrial Experiences. 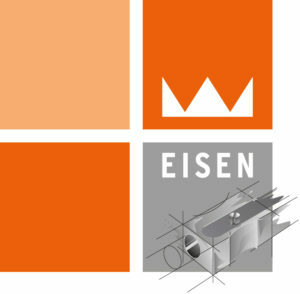 For close to 100 years, we at EISEN have put quality at the heart of everything we do. We have carefully developed and manufactured every sharpener with an eye toward quality, innovation, craftsmanship and performance. Welcome to where technology meets performance, where functionality meets style, and where our customers are at the core of everything we do. You’ll find fresh and exciting new styles, as well as faithful classics. Choose from an extensive selection of single and multiple diameter sharpeners – personalized in your corporate color with your logo added. Get the best performance out of your formula and move toward perfect application – with EISEN cosmetic sharpeners. At Englewood Lab the worlds of skin care and color come together to create product opportunities never before possible. With a world-class team of scientists and chemists coupled with blue sky R&D capabilities, extensive manufacturing and regulatory capabilities, Englewood Lab aims to be your best in class partner for global product development. With a 20 years experience, ESSENTIA BEAUTY, specialized in the creation, development and manufacture of Fragrances & Cosmetics, is dedicated to support brands and retailers with innovative beauty concepts offering very competitive timetable and cost. Our mission is to strive to better understand consumer changing demand and create products that truly appeal to their needs. We work close to our customers in order to completely adapt concepts to their brands identity. To offer always more value added, Essentia Beauty has developed innovative packaging concepts and ready to go formulas. Ethruska: an innovative start-up with a Patented Technology and customizable formulas. A team of professionals with a profound cosmetic culture. R&D and production, filling and assembling; full service projects from concept study to “Ready-to Market” products through s.w.o.t. analysis, pack selection, design proposals; avant-garde inspirations based on consumers needs supported by trend & style experts, strategic marketing, high rated formulators, certified quality lab. Additional R&D team dedicated to the study and development of our patented technology, translating it in make-up and skincare formulas 100% free from chemical/artificial additives and preservatives. Faber-Castell Cosmetics is one of the leading private-label manufacturers of cosmetic pencils and working in partnership with the global cosmetic industry. Focusing on color cosmetics and nail care, we design and develop state-of-the-art standard and customized products as well as special product developments. Our distinctive cosmetic pencils are of the highest quality. We offer an extensive range of innovative formulations and cutting-edge concepts to meet the needs of all partners. Unifying tradition and progress in the most innovative way; contributing to a fair and more beautiful world through social and environmental commitments – this is what sets Faber-Castell Cosmetics apart. In the fickle Instagram era, traditional product development timelines don’t cut it. Accelerate your timeline with our turnkey solutions. Fusion PKG Beauty Lab offers formulations thoughtfully integrated with our innovative packaging for cutting-edge products providing our customers a quicker speed-to-market, greater resource savings and a bigger impact. Whether it’s color cosmetics or skincare, our pre-tested, on-trend products are market ready awaiting your brand story. Founded in 1925 the GEKA Group has become one of the world‘s leading manufacturer of brushes, applicators and of complete packaging systems for the cosmetics industry. Our product expertise, constant flow of innovations and countless patents mark us out as the application specialists. The product portfolio comprises applicators and packaging systems for mascara, lip gloss, eyeliner, and fully finished products. In addition to that, we design, develop and source all types of accessories such as cosmetic brushes, powder puffs, sponges, hair products and massage items. In 2016 GEKA has been acquired by the Swiss company Sulzer and is now part of their fourth division “Applicator Systems”. Established in 1967, Gi Picco’s was among the first Italian companies to specialise in decorative cosmetics and make-up production. We boast a unique level of industry expertise, with extensive range of formulas, moulds, forms, designs and colours. Today we export more than 90% of our production worldwide, and attend the industry’s top tradeshows. Our company has obtained all the leading quality certifications, and all our formulas are clinically and dermatologically tested, with safety and skin-tolerance tests conducted in accordance with the most rigorous standards. Global Village presents its attractive packaging in gifts . cosmetic , health & care , jewelry ect. And the concept of Eco-friendly has been applied to our products these years . We have strong team and experience to work with big brand . Our high quality could enhances your products scales . GNCP offers EYE and LIP MAKEUP products with innovative FORMULA and PEN-SHAPED PACKAGING. We are providing cosmetic turn-key solutions for new product and concept development while providing tailored OEM/ODM contract manufacturing services based on our exclusive supply chain management systems for various partners all over the world. Join us to be your next partner in beauty! HCP is a global leader in the design, development and manufacture of prestige primary packaging containers for the cosmetics, skincare and fragrance industries. HCP’s product portfolio includes standard and customized compacts, lipsticks, mascaras, lip gloss, pots, skincare jars, tubes and bottles, fragrance closures and other cosmetic items. With an enviable reputation for innovation, creative technology and state of the art manufacturing, HCP is professionally supported and represented by its own regional and local offices, providing customers with direct and immediate access, feedback and solutions. With offices around the world HCT Group is a global company that designs and manufactures beauty products from start to finish. HCT’s worldwide team works together to create custom and stock packaging, airless and metal components, beauty formulations, and brushes to help take brands to the next level. Customers have the ability to choose from one of the world’s most comprehensive libraries of stock ranges, as well as create completely custom designs for all beauty and personal care packaging. HCT’s inclusive turnkey offering conveniently manages the process from concept to creation, overseeing logistics, formulation, filling, engineering and manufacturing to the actual delivery. Hemao Cosmetics has been servicing the beauty industry since 1998 with factory in Huizhou where is a fully-equipped cosmetics manufacturer with 16,800 m2, is solely-owned by Taiwanese. Our exceptional product quality and customer-oriented culture have earned consistent recognition for excellence worldwide. Our credentials include ISO22716:2007(E) Cosmetics/GMPC, ISO14001, SQP, SA8000 and BRC as well as passed Wal-Mart and Disney audits. We offer full line one-stop-shopping for our customers’ OEM, ODM and PRIVATE LABEL needs, specialize in cosmetics gift sets, eye shadow, blush, bronzer, lip gloss, lip stick, mascara, eyeliner as well as cosmetics accessories and packaging components. “HJS PACKAGING CO., LTD. Founded in the spring of 2002 in Taiwan, it provides OEM/ODM service for cosmetics packaging manufacturing. The company offers total solutions of packaging including customized mould design/tooling, injection, plating and other arts finish and assembling.To meet with main clients’ order demand, HJS moved the plant to Shanghai China to enlarge the production capacity in 2018. HJS PACKAGING has been accumulating technology of packaging experience more than 10 years and it supplier the famous leading cosmetics filling plants in China, Taiwan, Europe, and America. The OEM/ODM brands include Clarins, Avon, Revlon, Sephora, Lorac, Rimmel, Autograph, Astor and Chic Choc… etc. To better satisfy and content the need of our customers and market. Since its establishment in 1973 in Korea, HNB Corporation became one of the top manufacturers of cosmetic brushes and accessories. Focusing on “Quality” and “Innovation”, HNB provides OEM/ODM service to international cosmetic brands in department stores, Sephora/Ulta, Target/Walgreen, Walmart. etc. In an effort to provide creative products and solutions, HNB re-opened its office in Seoul, Korea in 2017. HNB Korea Lab members are dedicated to innovation, by collaboration with make-up artists and product designers. Equipped with 3D printing machines, HNB continuously works to develop innovations through new designs and functions to serve its partners better. Ever since establishment in 1977, TAEJIN has been producing plastic components in various fields including cosmetics and households goods. We specialize in plastic injection molding and offers customized packaging from concepts and design to finished products. HOUSES of TAEJIN, a leading manufacturer of quality cosmetics, breathes high quality characteristics and styles into your cosmetic containers. Style your own with TAEJIN. Hwa Sung Cosmetics is a Korean color cosmetic manufacturer, which pursuits innovation and high quality. Through its constant efforts and investments, Hwa Sung Cosmetics has become one of the leading manufacturers in innovation. With its success in the domestic market, Hwa Sung Cosmetics is now expanding its recognition to all over the world. Hwa Sung Cosmetics’ ultimate goal is to become the best color cosmetic manufacturer in the world. With its motto, “Integrity, Innovation, and Quality”, Hwa Sung Cosmetics will endeavor to achieve its ultimate goal. Italian contract manufacturer based north Italy, in the area of Lake Maggiore, specialized in production of colored cosmetic products : lipsticks, lipglosses, lip balm, foundations, mascara, solid perfume,… and all cool items that could be considered key-products for a daily make-up routine…….. The company is fully integrated with Lab, R&D & Regulatory, Marketing &Trends , bulk production filling & packing. Inca Cosmetici can offer a turn-key, just-fill or bulk in bulk service. The company is ISO and GMP Certified. Intercos Group is an extraordinarily innovative global company specializing in color cosmetics, delivery systems and pencils, nail lacquers and skin care. Since 1972, Intercos has been successfully involved in the creation, development and manufacturing of cosmetics for the biggest international brand names. Intercosmetic Asia Pacific (formerly known as Intercos Asia Pacific) is a leading OEM/ODM cosmetics manufacturing one-stop platform of global innovative technologies. Established since 1998, we produce high quality products at competitive pricing and efficient service for the global cosmetics brands. With the broadest product portfolio, we provide unique innovative halal and conventional makeup and skin care products. With our global supply chain and a deep knowledge of all markets and distributions, we help you design the ideal product range with the fastest time to market that are always in-line with the latest beauty trends. ITALCOSMETICI, since 1980, is very well-known on the international markets: export to 50+ countries is 90% of sales. IC works as a make up contract manufacturer only and produces highly innovative (50+ new formulas every year) top quality products, all made in Italy. IC is very flexible: its products can be supplied in bulk, pressed pans, filled in customer’s packaging, or with all components supplied by us (full service). IC can replicate any color and our library has 4.000+ references. Our company is Certified UNI EN ISO 9001:2015 and ISO 22716:2007.
iTiT Cosmetics is a contract manufacturer specialized in make-up and face tratments. iTiT Cosmetics was born in 2011 and it is located in Cantù, near Como (Italy). Our main goals are to follow the highest quality standards and to satisfy all the clients’ requirements and needs. We are specialized on lip products (such as lip balms, lipsticks, liquid lipsticks and lip gloss) eyes and mascara products, face products (such as foundation, BB and CC cream, concelar). We are certified ISO9001, ISO22716 GMP and we can offer also ECOCERT certified products. According to the customers’ needs, we offer three different services: bulk production, production, filling and assembly or full service. J•COP (Jeong Hun Co., Ltd), a cosmetic packaging manufacturing corporation, was established in 1990 and has since produced cosmetic packaging as an OEM and an ODM. We have furnished itself with production facilities based in Korea, equipped with international standards such as ISO14001/9001 and OHSAS18001, processing of metal and plastic cosmetic packaging. J•COP always strives to satisfy its clients’ needs in all aspects through conducting research and development (R&D), and new design offer. Not only limited to the cosmetic packaging, we are capable of offering full turn-key service to help you straighten the line connecting product ideation and on-shelf actuality. Jih Hsin Glass is the leading skincare and cosmetic glass container manufacture in Taiwan. For over 40 years we have been providing the highest quality products tailored to our clients’ needs and requirements. To save our customer time, we offer full range of services including: production and post production services (printing, frosting and color spraying). We can also source customized components such as pumps and caps to meet your requirements. We insist on providing our customers with highest quality products, service and prompt delivery at a competitive price. Please visit our website at http://www.jhglasscorp.com to discover the latest trend of packaging and find your best choice. Our primary goal is to embrace trends, creation, inspiration and innovation. Our extensive industry expertise is supported best in class research and development, state of art, production and fulfillment. This enables to propose and supply innovative ingredients that have proprietary formulation . KBL Cosmetics strives to offer products and services that go above and beyond our customers expectations. We believe that our clients’ trust and satisfaction are the keys to our success and we aim to align with this belief in everything that we do. KDC/ONE is a network of best-in-class custom formulators and manufacturers of color cosmetics, skincare, hair care, bath & body, fragrance, deodorant, home, health, industrial, and auto care products. KDC delivers high-touch innovation, operational excellence, and speed to market to well-known and emerging beauty, personal, and specialty companies from coast to coast. KDC has its head office in Longueuil, Québec. In addition, KDC has 10 operating facilities located throughout North America. Altogether, the company employs nearly 4,800 talented and dedicated employees in North America. PT Kemas provides high quality Color Cosmetics & Skin Care packaging solutions & services worldwide. Kemas has established itself as one of the world’s leading suppliers of Lipstick and Liquid Lipstick Casing. We also offer patented airtight compact that support volatile formulation. For customers seeking ‘full turnkey’ solutions we also provide in-house filling capabilities on all soft pour formulations. Our factories located in Indonesia, Taiwan & China are equipped with state-of-the-art plastic injection molding machines & metal production facilities supported with in-line product assembly and highly efficient decoration capabilities. The market for single-dose cosmetics is booming and we have 30 years of expertise in this type of packaging. Lumson is one of the leading European company in Designing, Developing, Manufacturing and Customizing complete packaging solutions for the Skin care and Make-up market. Founded in 1975, ensures the highest level of Quality, supplying standard and custom packaging solutions such as glass jars and bottles, plastic jars and bottles, airless systems, cosmetic pumps, dispensing systems, accessories and a wide range of both traditional and brand new decorations. The Company is UNI ESO 14001 certified and sensitive about the environment, sustaining every day in its headquarters and manufacturing site a green and eco friendly policy. A unique and reliable partner, close to clients’ and market‘ needs. Marino Belotti is specialized in designing, developing and manufacturing of plastic containers for the cosmetic industry. We are partner of several Brands all over the world and thanks to the experience and know-how, we provide standard or customized products, associated to a fast and efficient response to the constantly changing needs of customers. Continuous research on new materials, finishes and decorative techniques characterize the company spirit. Founded in 2002 MPlus Cosmetics is a contract manufacturer based in Inzago (Milan), specialized in the production of liquid, creamy and stick cosmetic products for eyes, face and lips. For over ten years, we have been building strategic relationship with the greatest partners over the entire supplying chain to offer our customers a 360° full service. We are proud to drive our clients from the first idea to the actual product, through a process all 100% made in Italy. What is making our full service very competitive and exclusive is the homemade fiber brush, thanks to three machines that work 24h, 7 days per week. Ningbo Jieli have been focused on developing and producing cosmetic pencil packaging 20 years. For all these year, we not only have been improving ourselves but also have become a reliable manufacturer who devotes oneself to promoting products and service. We can provide service on appearance customization with our R&D team and tooling workshop. Warmly welcome you to visit our booth and have a look at this item! We are a Polish contract manufacturer of color cosmetics with 30 years of experience. Combined with our passion for innovation manifested through sustained R&D efforts, those years in the industry have earned us an enviable reputation for unique know-how, reliability and cutting-edge NPD. Our modern machine park is always at the forefront to provide quality, dependability and enough capacity to cater for all of our customers’ unique needs. From part-service to turnkey solutions, we offer a full spectrum of tailor-made color cosmetics. NVI has a team of enthusiastic professionals with more than 120 years of combined expertise in the Personal Care and Beauty Industry. We specialize in innovative product packaging design, quality manufacturing, and customization by turning concept into finished products in a speed-to-market fashion, NVI is the ultimate solution to your supply chain management with excellent services in packaging design, Turnkey manufacturing, and formulation. Our offices are in Hong Kong, Shenzhen, and Shanghai. Our Engineering and Sales teams are based in NJ and TX. Omnicos Group is an Italian contract manufacturer company focused on lipsticks, emulsions, mascaras, powders and automatic pencils. Ultimate technology, professionalism, organisation and quality, make us the perfect partner for all cosmetic brands. Our work is focused on the continuous search for high quality and innovative products together with an eye on the new market trends. Our passion, our reliability and will to grow became the distinguishing elements of our company. We are a full-service custom product development and manufacturing company comprised of a best-in-class team of beauty lovers, trend trackers, and component connoisseurs. We are always innovating, growing, and staying one step ahead of a rapidly changing retail landscape. Our uniquely personal approach allows us to partner with you as an extension of your own team, seamlessly bringing your vision to life and market quickly, on budget, and beyond your expectations. Oxygen Development is a world-class leader in the development and production of high-quality color cosmetics, skin care, hair care, bath & body care. Oxygen Group encompasses a FDA/OTC approved production and warehousing headquarters located in Florida, USA as well as two sister facilities in Germany (Carefull Colours) and in the Dominican Republic. Oxygen provides customers with outstanding services, ranging from bulk manufacturing to turn-key solutions. Its success has been fueled by a culture of innovation, quality, operational excellence, and remarkable customer experience. Located on the outskirts of Paris, our team of specialists offers the International cosmetic industry a genuine and innovative “Made in France” savoir-faire for high-end products. Creation, development, formulation, manufacturing, filling and conditioning, we support brands in their short term, midterm or long-term product roll-outs. From full service to co-manufacturing, we adapt to your needs by offering our “a la carte” services. Your needs and our expertise are the key to the success of your product launches! 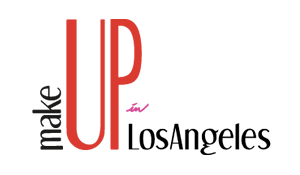 Come and visit us in L.A. to discover our brand-new innovative lip products. Pennelli Faro is a contract manufacturer of cosmetic brushes located in Italy. A family-owned company, Pennelli Faro manufactures a large variety of both standard and customized brushes under private label since 1971, offering innovation, top quality and a complete support in following its clients’ needs, developing their creative projects, providing solutions and the newest ideas and trends. Organization, synergy between our technical and marketing/design teams, ability to develop customized projects with prototypes in short time, attractive positioning and a passionate dedication to quality allowed our company to affirm itself as a strong and reliable partner in the international market. Premi Beauty Industries is a leading packaging company headquartered in Italy, with offices in the USA, Poland and Taiwan. Our mission is to create innovative, high quality and exclusive beauty products for make-up, skin care, fragrance and home fragrance sectors. From design to packaging solutions, we offer our clients a reliable team specialized in R&D, graphics, industrial design, prototyping and marketing. Thanks to our dynamic know-how and extensive experience within the different sectors, our clients have the option to choose from a wide range of different techniques, capabilities and state of the art technologies. Our goal is to provide added value and uniqueness to our customers. Presto Packaging Solutions (PPS) is a privately owned US-based global packaging company with its manufacturing facility in China. We provide a wide range of packaging solutions for make-up, personal care, facial skin care and fragrance markets. PPS is a leader in the design, development and manufacture of high-quality packaging containers. Our product portfolio includes standard and customized skincare jars, bottles, tubes, lip-gloss, fragrance closures, eyeliners and other cosmetic items. Process Technologies & Packaging (PTP) is a full-service contract manufacturing facility, specializing in the custom development, manufacturing, and filling/packaging of color cosmetics and personal care products. In an atmosphere of creativity and teamwork, PTP offers convenience and speed. Using our extensive experience, we strive to set the pace in the rapidly evolving world of cosmetics. Our responsibility to our customers and their consumers is reflected in our high-quality standards and remains the foundation on which we build. At the core of our process, we are guided by the values of innovation, quality, responsibility, and respect. Quadpack Group is a global manufacturer and supplier of enhanced packaging solutions to beauty brand owners and contract fillers. Established in 2003, it has offices throughout Europe, the US, Australia and Asia, manufacturing plants in Spain and Korea and a strategic network of manufacturing partners. Quadpack developed its expertise supplying personalised standard packaging for prestige brands. Today, it increasingly develops bespoke packs for prestige, masstige and mass market customers, with dedicated divisions for the skin care, make-up and perfumery sectors. Endlessly innovating powders,emulsions and anhydrous formulations by mixing high-tech raw materials with creativity, passion and attention to detail. R&D Color is able to satisfy every requirement from the creation of make up lines to the supply of finish product. Translating your idea into a new texture to make any woman feel good and beautiful. Regi Laboratories is a global leading supplier in the color cosmetics industry with avant-garde R&D laboratories driving innovation in the makeup B2B market. Founded in Italy in 1994, Regi Laboratories comprises today production sites in USA and India, backed up by the expertise, intuitive approach and highest quality standards of the Italian HQ. Its one-of-a-kind R&D and marketing team passionate and constant research process, fuels their ability to anticipate the market trends, to design, develop and finalize custom-made solutions. Creatively led, strategically driven, professionally skilled and quality obsessed, Regi Laboratories is a solid partner in innovation and product design. Riju World International Co. offers a variety of brands to serve multitudes of retail beauty chains and distributing channels. We have been working at Korean cosmetics for 10 years, and we are developing new innovative products, manufacturing various Private label products and exporting Korean famous brand products. A global leader in innovative packaging and turnkey solutions, Roberts is the go-to choice for beauty brands looking for unique products. A one-stop-shop for all your color cosmetic and skincare packaging and formulations. Specializing in Korean color cosmetics and innovative packaging. We make direct-to-factory fool proof so our customers can flourish. S.H.A. Beauty and Shya Hsin Packaging exist to bridge the gap between creativity, artful design, product development and packaging engineering for an elevated customer experience at unmatched prices. For over 30 years, S & J has developed, manufactured and delivered innovative beauty care products for international partners across the globe. Based in Bangkok, and with offices in Europe and Asia, we offer a complete “one-stop” customized solution for brands and retailers, from product sourcing and manufacturing through to marketing and logistics. With headquarters in Bangkok, and offices in Europe and Asia, S&J has partnered with retailers and brand-owners in over 50 countries worldwide. We offer a customized service portfolio and a one stop solution for high quality beauty and personal care products. At Schwan Cosmetics, we are committed to providing our clients with solutions that allow them to meet and exceed their consumers’ expectations. Whether you are a well-established brand or a start-up, we help you create a successful business through innovation beyond product, quality and agility. With a unique network of clients, business associates and experts, we are the experienced partner of the worldwide beauty industry. As a pioneering designer and manufacturer of modern pen cosmetics, we recognize, create and shape the innovations of today and highlight what’s to come tomorrow. SeaCliff Beauty is an award-winnning supplier to the beauty industry specializing in packaging design, and turn key solutions for mass market, prestige, indie and startup brands. SeaCliff Beauty will take your product from concept to creation and guide you through the course of development. Our services include formulation, packaging design, manufacturing, and secondary packaging. SeaCliff Beauty is comprised of a team of highly experienced, industry professionals, deeply passionate about beauty and cosmetics. Obsessed with trends, we understand what customers are looking for in a product. SICAF is recognized by the major cosmetic brands of selective distribution for its know-how and expertise in development and production of customized formulations. We develop skincare and bodycare products according to the marketing brief designed by our customers. Our R&D Dpt also offers some typical and innovative formulations (“solid cosmetics” or “flower cosmetics”). All productions are made in France, in our 3 plants which are GMP and COSMOS (organic products) certified. Soho Cosmetic Accessories Co., Ltd. has been manufacturing Cosmetic Brush Kits for almost 40 years. With our professional knowledge and technique, we have been dealing business with prestigious companies such as Amway, Avon, SHISEIDO, GUERLAIN, YSL, ARDEN, Estee Lauder, LANCOME, Mary Kay, L’Oreal, etc. We are not only a manufacturer, but also a new idea creator and designer to well cooperate with these worldwide famous cosmetic companies who are very satisfied with our expertise, design, quality, delivery, price, etc. Based on our great and fabulous experience, any OEM or ODM designs for company image sale are extremely welcome. STRAND COSMETICS EUROPE, your Partner for make-up and skin care products. From formulation to production, our expert teams are dedicated to satisfying your needs. STRAND COSMETICS EUROPE is compliant with ISO 22716 and drives its integrated management system according to ISO 9001, ISO 14001 and ISO 45001. Furthermore, STRAND COSMETICS EUROPE obtained the SEDEX international conformity in 2016 about its RSE Policy. Sunchina Packing Limited was established in 2008, a professional manufacturer engaged in development, production, sale and service of cosmetic packaging, products range including makeup palettes, eye shadow palettes, perfume boxes, color cards(our own Roland 8+1 printing machine), etc. Our products are biodegradable. We are good at glitter decoration, silk screen printing, hot stamping, UV coating, debossing and embossing. We take your project from concept to reality. Whether selecting a current product from our catalog or seeking engineering assistance for your application, you can talk to our sales department about your sourcing requirements. 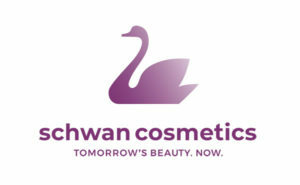 Swan Cosmetics de Mexico is a private label manufacturer of color cosmetics, our capabilities include wood and mechanical liners, powder pressing, gloss, lipstick, liquid liners, foundations, a one stop for all you color cosmetic needs. Our sister company Kromalabs is dedicated to the personal care industry, with capabilities for shampoo, gels, hydro alcoholic filling, deodorants, body lotions, we will be more that delighted to help you achieve your goals. TAESUNG is one of the major cosmetic container manufacturers in South Korea with more than 26 years of business experience and worldwide business partners are our proof of competitive price, quality and good delivery time. By recent enlargement on our production facilities, we are also providing OEM/ODM service with cosmetic product to have opportunities to establish new business connection. With our own reliable facilities here in South Korea, you will have one-stop service including all the processes such as tooling, injection, post-processing, printing and assembling! 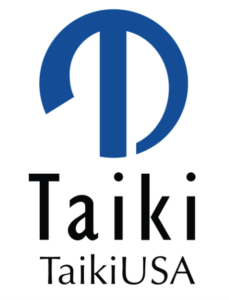 TaikiUSA is a global leader in skincare and makeup tools, products and dispensers. Our goal is to provide the best application solutions to enhance the consumer experience. We serve as a partner to our clients, helping to identify needs, determine the best materials and design products. Our sales offices work closely with our factories to assist in the product development process as well as the manufacturing, logistics and quality/improvement. Takbo Group established on 1994 and provide development and manufacturing of professional color cosmetics, toiletries and beauty bags on an OEM or ODM basis. We have strong development teams to create designs in line with the current market trend, enabling customers to enjoy our “one-stop service” of high quality, up to professional standard and tailor-made products. Founded in 1979 – TECNOCOSMESI is the world leading manufacturer of high-end COLOR COSMETICS, SKIN CARE and SOFTGEL CAPSULES. TECNOCOSMESI offers BULK, SEMI-FINISHED products and FULL-SERVICE, managing flexibly our PRODUCTION capability using mainly baked, atomization and extrusion technologies. R&D laboratories, STRATEGIC & CREATIVE MARKETING and CUSTOMER SERVICE work together to satisfy all demands in terms of new TRENDS and FORMULATIONS. Our QUALITY concerns with EQUIPMENTS, TECHNOLOGIES, SUSTAINABLE COMMITMENT and INVESTMENTS in RESEARCH and CERTIFICATIONS: FDA ,ISO 22716:2007, ISO 14001. QUALITY, EXPERIENCE and CREATIVITY make TECNOCOSMESI the ideal partner for your projects. Timesource has been working in the cosmetics industry for nearly 30 years. We are committed to providing high quality cosmetics, offering a wide range of products at the most competitive prices and best service to meet your requirements. We are one of the most experienced in this field. Please try to contact us. You will know that working with us will solve your problems and increase your business. Thank you. The Toly Group remains privately owned and continues to focus on the beauty industry. Over the past few years, we have expanded our reach across the world and have diversified our product base to include all types of make-up, skincare, fragrance and promotional packaging. 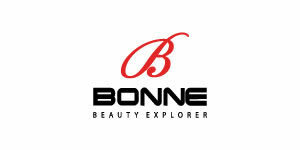 Tonnie Cosmetics Co., Ltd., established in 1970, is one of the leading professional private label cosmetics manufacturers and exporters in Taiwan. Tonnie is certified with GMP, ISO 22716:2007(E) and ISO 9001:2008; moreover, our products meet FDA, EEC or other global regulations. We provide OEM & ODM production service and design capability. Our raw materials from USA and Europe. We have our own laboratory and are able to test every kind of product as well as contract SGS inspections. Tonnie has been cooperating with some famous international brands in Northern America, Europe and Asia for many years. With our rich experience and innovative formula. Tonnie is your one-stop source. Established in 1998, Top Beauty is a leading manufacturer of innovative beauty packaging. We service customers in the color cosmetics, skin care, and personal care industries. We offer a complete technical plastic injection moulding solution – from concept to delivery – for projects ranging from small production runs to high-volume repeat orders. In addition to customized packaging solutions, we offer a wide range of stock options for Lipsticks, lip gloss, mascara packages, compacts, jars, cream Jars etc. Please visit our website http://www.topbeautysh.com to get more information. Unicoa provides complete cosmetic packaging solution that is beyond expectation ! UNICOA is one of the leading cosmetic packaging company in South Korea. Its professional experience has made it an international business partner with companies from all over the world across Asia, Europe and America. UNICOA has various cosmetic packagings in airless pump bottles, deep-tube pump bottles, airtight compacts, make-up compacts, cosmetic jars, lipstick containers. Our company provides satisfying products in appropriate prices with high quality service. OEM is also available. Please visit our web-site www.unicoa.kr . You can see our attractive and valuable many containers thru it. VIROSPACK is the leading manufacturer of cosmetic dropper packs for skin, hair and nails treatments, and liquid make-up products. In-house production and decoration of all components and processes with large capacity and flexibility, under strict QA control levels, consolidates Virospack as The Dropper Company worldwide. Knowns for its long professional trajectory, for its quality in production and service to brands, and always committed to design and innovation, Virospack develops new proposals every year offering customers a wide range of standards easy to customise, as well as client specifics. Weckerle Cosmetics delivers leading innovations in all aspects of contract manufacturing with full-service for beauty products for lips, eyes, face and body. The company operates internationally for over 40 years in the Color Cosmetics Market and has production sites in Europe, USA, South America, and China. The headquarters are based in Germany. Weckerle Cosmetics creates customized solutions and stands for its main philosophy ‘Innovation never ends‘. Whatever your needs may be, we are here to partner with you! WORMSER offers capabilities in product design, development, production, filling and turnkey solutions for all your projects. Our multi-faceted team offers expertise and inspiration to take your product from concept to commercialization. Dedicated to providing the best possible products and packaging, we are continually generating new and interesting concepts, striving to make the next cosmetics product and package better than the last. WORMSER is equipped with the latest tools and know-how to support all stages of the development process. 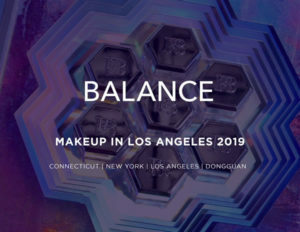 XJ Beauty is a company with headquarters in China and Orange County, California, USA providing outstanding services to customers in the cosmetics and beauty industry. YCY is one of the leading color cosmetics contract manufacturers in Taiwan. Our main company set up in 1988 ,and have almost 30 years experience at producing make up. We have qualified with ISO22716 .Our goal is fulfill every requirement of our client internationally with our main idea-”BEAUTY” and “CUSTOM SERVICE”. Our specialty is powder product and different function liquid foundation, from pressed powder , highlight , blush to eyeshadow and eyebrow with very good texture and pay-off.Also , we have hot-selling liquid matte lipstick and highlight product. Welcome to visit our booth , and create your own beauty. We surely will be your best partner. Zhejiang Jinsheng New Materials Co., Ltd manufacture high quality cosmetics containers for APC Packaging to supply the North America market. APC Packaging is based in Florida USA which has been actively serving the global beauty and skincare brands since 2006. Zhejiang Jinsheng is a 800,000 sq.ft modern facility and the home to a fleet of cutting edge machinery that are all operated by master engineers and technicians. Our most advanced molding machines are used to create never-before-done prototypes of your most unique packaging design concepts. These prototypes are then taken to on-site labs where they undergo rigorous testing and verification. We also use the latest tools in technology for in-house customizations such as printing, sprays, and color injections. With APC Packaging based in Florida, we are better able to communicate with our clients and understand their market, while having us in China allows us to offer better quality and better production times at better prices.